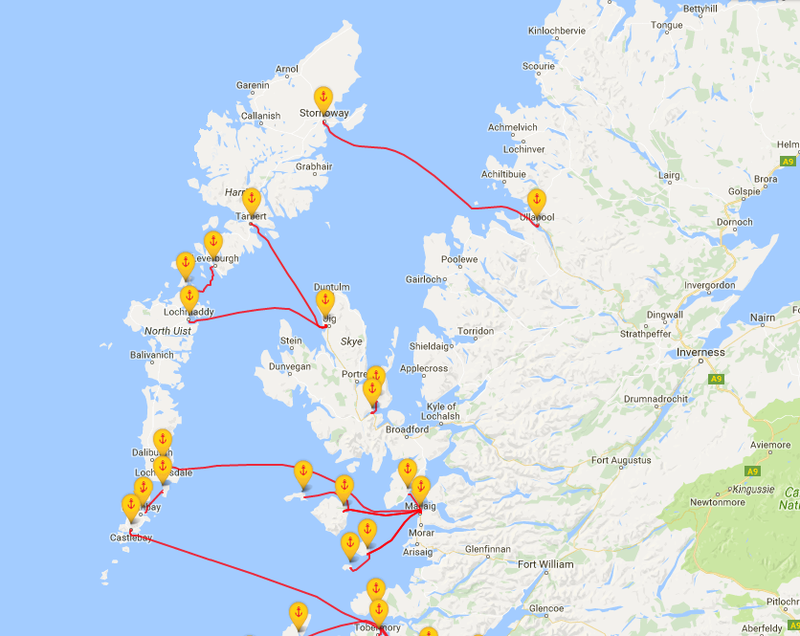 There are flights to the start of the Hebridean way in Barra (C), every day from Glasgow. There are also flights to Benbecula (A – middle of the Hebrides), and Stornoway (B – in the North). However, the flight on every adventurer’s bucket list is to take the only commercial flight that lands on a beach in the Atlantic. The temporary runway is only accessible at low tide.